A 5' aluminum extension pole ideal for use with our static dusters and microfiber duster, but also useful with other tools as well. With this pole, you will be able to reach even farther so the versatility of your existing duster will be greatly increased. Clean every surface of your home or office no matter how high or difficult to reach it is. Ceiling fans, plant ledges, cobwebs, sky lights and more will no longer be out of your reach. It extends to a full 5 feet, making it possible for you to reach and clean surfaces up to 17 feet high. Using a duster was already one of the quickest and most efficient ways to clean, but now you can do even more with one of these amazing tools. 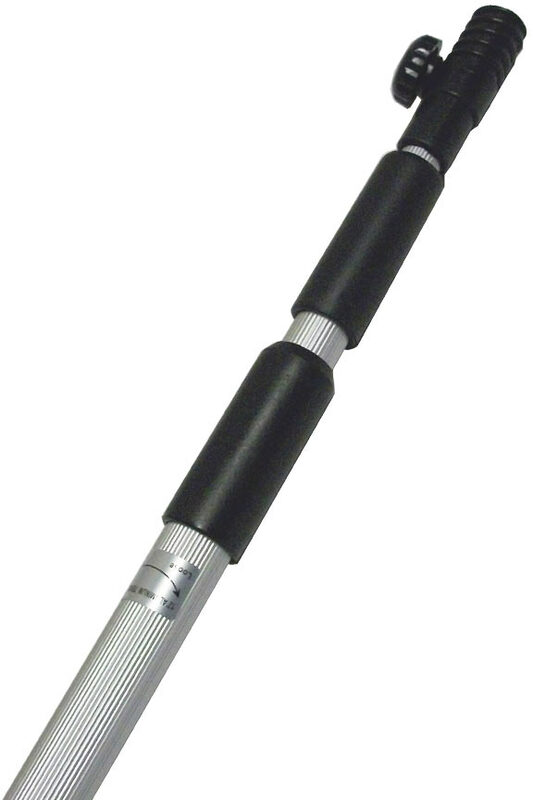 This pole has both standard thread, and a tension tightener, so it can be used with the static duster, the microfiber duster, or any other tool that would attach in a similar way. To combine with the tools we sell, simply screw the base of the microfiber duster right on the end, or pop a static duster inside the end of the pole, and then tighten the knob to secure it in place. The telescopic ability of this pole makes it easy to get it to just the length you want. Extend to any length and then twist to tighten securely. Because it is made out of aluminum, it is lightweight, yet incredibly durable. Increase your reach and no dirt will elude you. 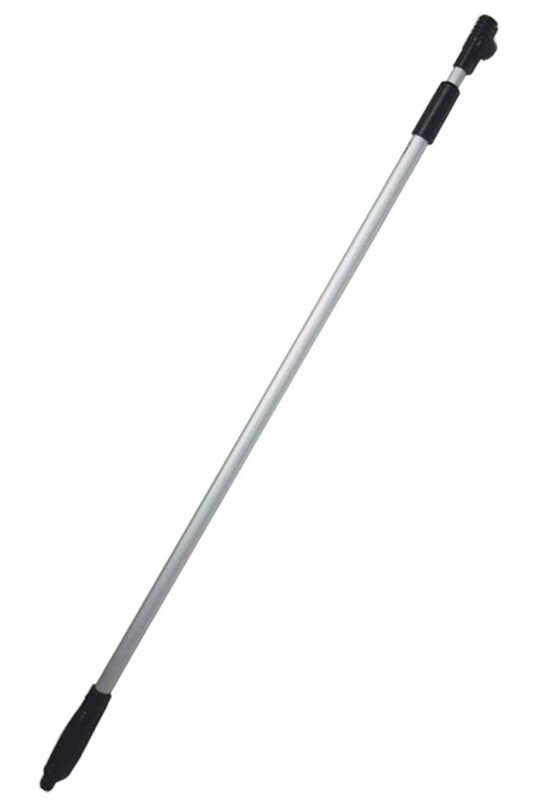 The static duster and microfiber duster have flexible heads that can bend into any position, so when combined with this pole, cleaning hard to reach areas has never been easier. You will be able to dust mini blinds and other high up places with ease. Extend the pole and ceiling fans are no longer hard to clean. Just bend the end of your duster to clean the tops of ceiling fans, shelves and ledges, curtain rods, wall hangings, cathedral ceilings and other hard-to-reach places. Use it to clean under the refrigerator, next to the stove or behind shelves. This bendable feature makes these dusters extremely useful throughout your entire home. They will literally pull dust and dirt from any surface in your home or office, and are extremely safe and gentle. This pole makes your dusters more versatile than ever. Get one to add to your existing dusters, or buy our Long Reach DUster Set, and it's included. Duster Extension Pole - Extend the usefulness of your dusters. This five foot extension will allow you to reach all that stuff that is currently out of your reach. Order Yours Today! Just use dish soap and water when the duster needs a thorough cleaning, then hang it up to dry. Under normal use, you just need to shake out the dust over a trash can. 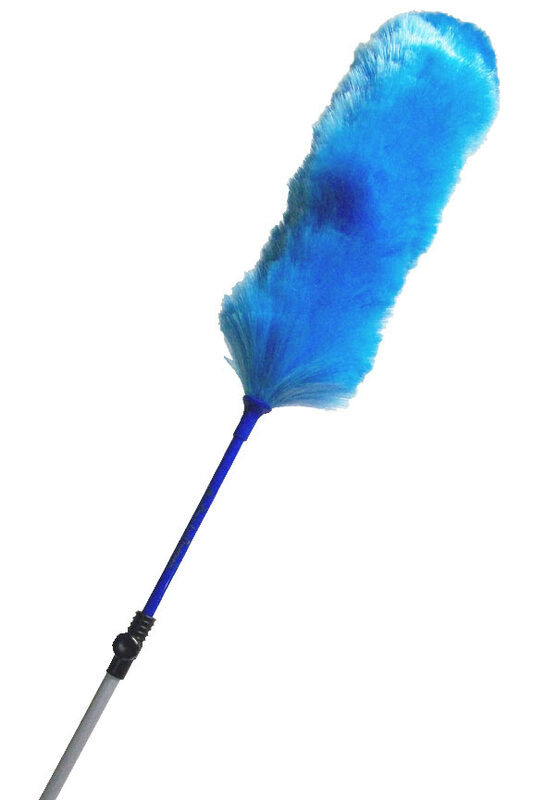 Is there a way to order the static duster with the 5 ft extension pole as a set? I own a residential cleaning business and we are really having a hard time finding some that don't break on the first use. From the reviews it looks like this may work for us! Thanks! The threading at the end is standard size. Any standard size tool or accessory will fit. A Super Absorbent Microfiber String Mop. Safe For All Metals, Gemstones and Jewels. Non-Toxic And Biodegradable.